Online reputation management is an essential public relations need for all businesses in the internet age. The internet is inundated with social media, online discussion boards, and review sites where your business is being talked about. Every business should be aware of their brand’s reputation and take active steps to control their reputation online. Here are some best practices and tips you can use. Reputation management is the process by which you control the story and image of your business. 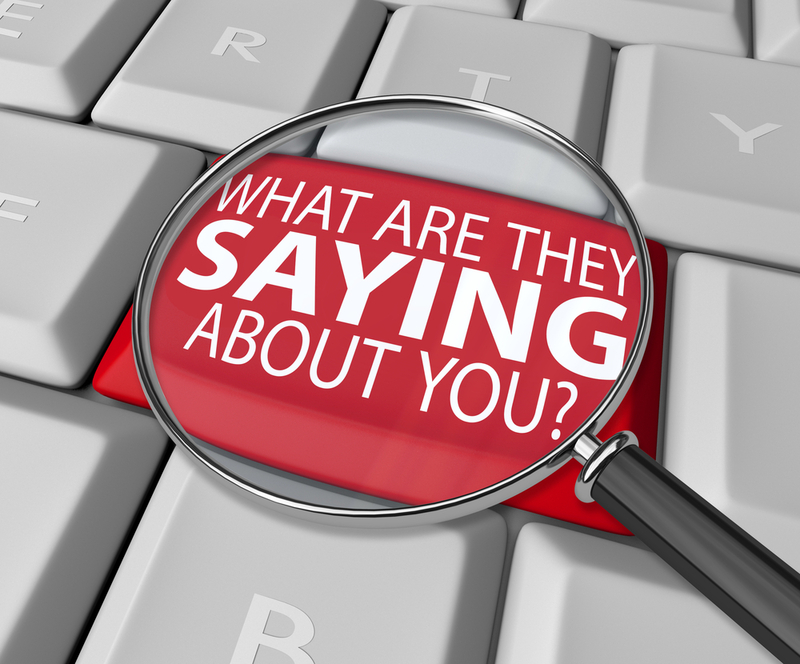 In order to control your information online, you need to stay aware of how your brand is being discussed. You should perform frequent searches of your business name on popular search engines such as Google and social media platforms such as Twitter. You will also want to frequently check popular review sites such as Yelp and Google+. By being aware of negative chatter online, you will be able to respond to the negativity. If your brand is threatened by negative reviews on popular review sites, you should not sit idly! Your best course of action is to respond publicly to negative reviews, and take the conversation offline. See if you can find out why the customer had a bad experience with your business, and remedy the problem with a phone call. Do not offer the customer anything free or discounted publicly because this will lead to customers trying to take advantage of you. A public response shows people that you care if someone has a bad experience with your business, and if you take the conversation offline you can potentially get the bad reviewer to remove the review. You should also be taking proactive control of your online reputation by putting out positive press through your website and social media channels. Put out positive news about your business with blog posts and social posts. Outside of your social media and website, you should proactively attempt to dominate search results for your brand by adding your business to as many legitimate directory sites as possible. This will help push any potential negative press off of the first page of search results for your brand. At Pentucket Bank we recognize that each business has unique goals, challenges and opportunities. With a responsive, professional and personalized approach to banking, our experienced commercial team can help identify and provide the solutions to help your business grow and prosper. Send us an email or give us a call today at (978) 372-7731 to find out how we can help you with your business banking, borrowing and investment needs.